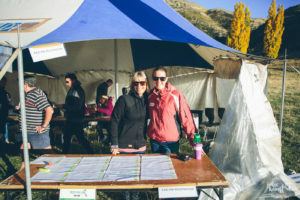 The Wanaka Trail Ride is quickly becoming known as the ANZAC Ride on the trail ride circuit. This year we’re further acknowledging the ANZAC spirit by adding the respected poppy symbol to our rider number stickers and our volunteer/marshal high-vis vests. 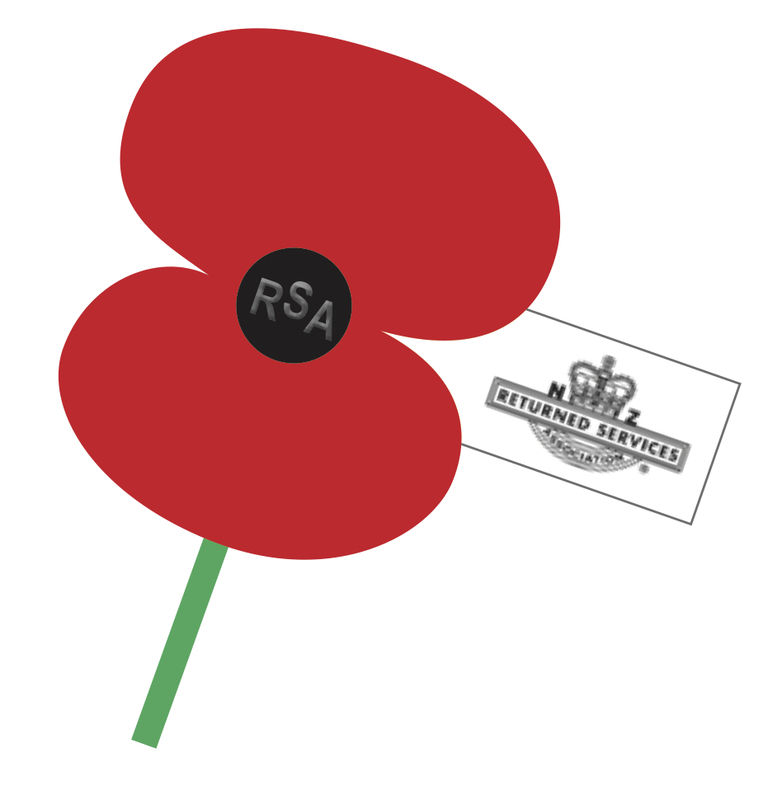 We’re proud to support our local RSA by contributing $1 from every rider registration to the annual ANZAC Day poppy collection. Once I got my bike started for the first time, I got to race around the section for a while. 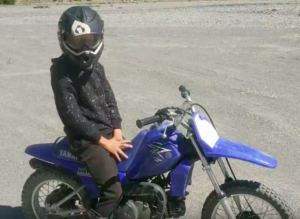 Then Dad said we should take it down to Timaru Creek and I was like, “oh, yeah.” I asked Dad how he would catch up with me, he said we would take the quad bike. We drove down to Timaru Creek. It was quite a gnarly drive where we went with big droppy bits and steep bits that had lots of rocks on them. We went through all that and then we came to a forest. We followed the track. Dad started up his quad and I started my bike and we rode off. It felt great just riding my motor bike in the open. 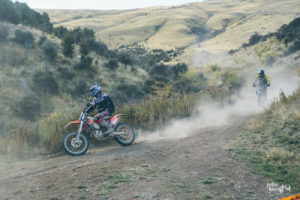 A few bumps, a few small crashes – there was this really sandy bit that makes you wobble – but still a lot of fun. We rode for like 2 hours with Dad filming me every now and then. Unfortunately, on about my 30th time down the track, my bike broke down and I had to push it back over that sandy bit, up a hill and back to the ute. I copied what I had seen on motorbike videos about how to push a bike uphill. I forgot though that mine wasn’t going and it made it harder to get up the hill. Editor’s note: Since Fletcher’s epic first ride on his own bike, he suffered a gnarly injury on his BMX. We’re not sure how long he’s going to be out of action, but we understand he may not be able to ride at WTR 2018. From the trail ride crew, we’d like to wish you all the best for a speedy recovery, Fletcher! Pre-registrations go live on Monday 12 March. If you pre-register, you get the benefits of better pricing options, you save time on the day, and you have the chance to win spot prizes. 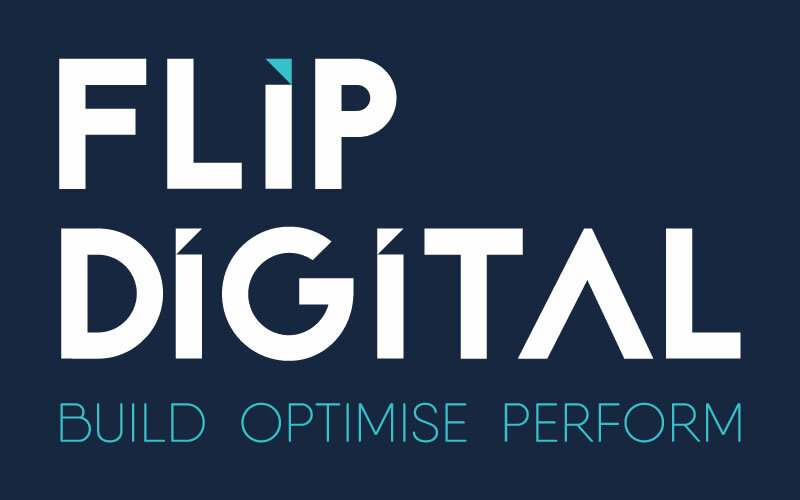 The first spot prize is awesome…Wanaka Motor Cycle Centre is donating a front tyre to the value of $80-120! When the first 50 registrations are in, one of these 50 people will win this great prize. Will it be you? Regular prize draws will be held right up to the event. Everyone who has registered will have a chance to win at each draw. So the sooner you pre-register, the better your chances. We’ll continue to take new registrations at the pre-registration pack pick-up on Saturday 21 April. Alternatively, you can register on the morning of the event. Thank you to everyone who has signed up to volunteer so far. We still need more help! Without our awesome volunteers, this event would not be possible. 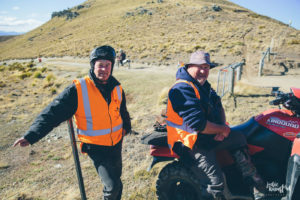 Are you travelling to Wanaka with your friends or family but not intending to ride? Join the volunteer crew! There are many roles to choose from and you can choose one to suit you. Volunteers don’t need to commit to the whole day. We need people for parking/traffic control, catering, pee-wee track marshals, or come at the end of the day and help the team break down Base Paddock. WTR is a fun event to be a part of and we’ll make sure you’re well looked after! Are you a confident trail bike rider? Want to get out on the tracks, support your fellow riders, as well as fundraise for local children? We had some great interest at our info session, but we’d love to have more marshals on board. If we get enough of you, we hope to offer a half day’s ride in return for a half day’s marshalling. But first, you need to sign up or register your interest. Can’t help on the day? Get out there in the weeks leading up to the ride and help our team mark out the trails! It’s been a hot, dry summer but with recent rain around the region to dampen down the high country grass, the track team can safely get out mapping the trails mid March. The aim is to lengthen the family track and replace half of the single trail with new terrain. A map of the trails will be made available when this is completed. Marking of the tracks will begin around Easter right up until event day. In an effort to continually enhance your experience out on the trails, this year we’ll be introducing different coloured markers and arrows to define family, intermediate and advanced tracks. Thank you to our two Gold Sponsors, Stonewood Homes Wanaka and Maungatua Contracting for their continued generosity heading into the 2018 event.